The feeling of connection that forms such an important part of life on Callawassie Island takes many forms. 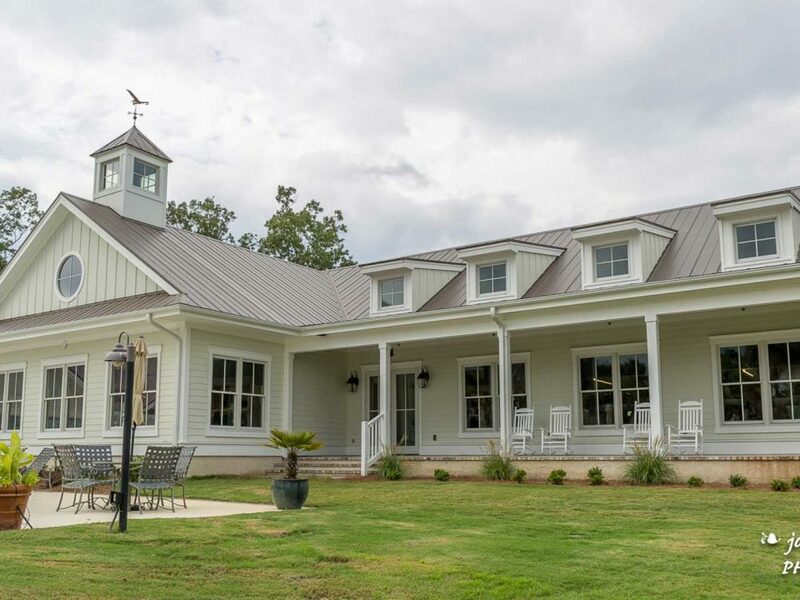 So, many Callawassie Island residents and club members felt something unexpected when they crossed our scenic causeway over Chechessee Creek a sense of security from being surrounded by the rhythms of the Colleton River and our gentle coastal waters. 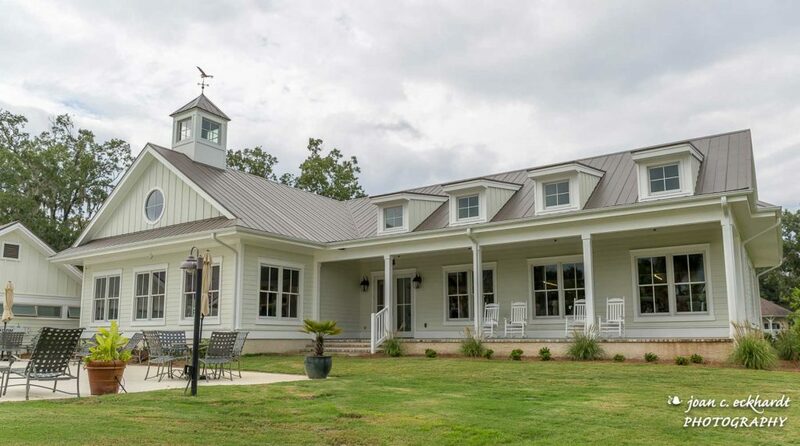 Others knew this was home when they reached the first fork in the road on Callawassie Drive and felt the embrace of ancient oaks and Spanish moss, heard the call of egrets and terns, skimmers and seagulls. Still more of our neighbors felt their hearts decide when they saw the site of their new home. Each with its own characteristic view, the aspect and attitude it presents to the sky, the land, and the water. Callawassie Islanders describe this feeling in different ways. But mostly they just let the feeling be, it’s so hard to describe, and it’s not about words anyway. This connection is usually expressed in action instead. Often, Callawassie Island comes as a chapter of life that has something to do with achievement or reward. Children are grown and healthy and successful. Careers are completed or at least less urgent with their demands. Both love and work take on a different pace and a new sense of freedom, of personal choice. That includes how we spend our time. Golf is one transformation folks experience as they connect with their life on Callawassie Island. 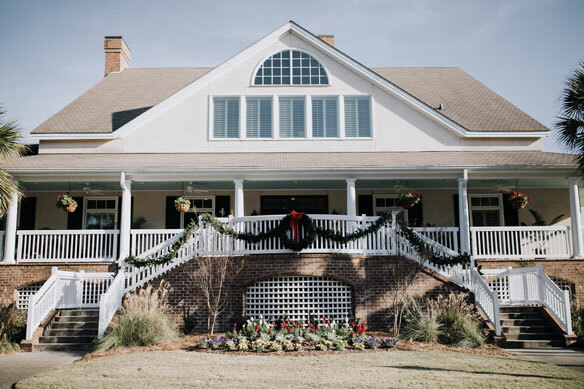 For one thing, the opportunities are so obvious, with our three, nine-hole, Tom Fazio-designed courses, the Magnolia, the Dogwood, and the Palmetto, blended beautifully with our island as they wend their way back to our comfortable Clubhouse. If every favorite-foursome counted as a club, then Callawassie Island would have scores of them. Friends choose the company of the golfers with whom they have the best time, or the ones they’re in the mood to tee it up with today. From competitive, comparable handicaps, among the men and women who play each year for the Club championships, to the most casual golfers, Callawassie Island is the perfect setting for discovering a way to enjoy golf that may feel new, just because of the beautiful backdrop or the pleasure of the company you enjoy on the course. One of the clubs we find on Callawassie Island exemplifies all these elements. The new opportunity, the welcome for all, the enjoyment of the game for its own sake are all embodied in the Blind Squirrel Club. The quirky name says much about the playful attitude at the core of the Blind Squirrels. Based on the proverb that “even a blind squirrel finds an acorn now and then,” the club was named for that seductive satisfaction that comes from uncorking a perfect golf shot, even in the early stages of our pursuit of this elusive game. For so many of us, those rare, perfect shots keep the ambition of learning alive and draw us back to the course to try to achieve some other shots like that. 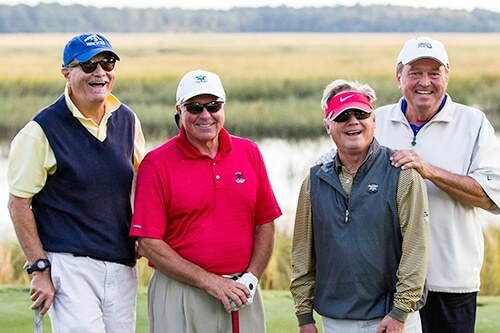 The Blind Squirrels typify the initiative behind the clubs you’ll find on Callawassie Island. Five years ago, members of the Callawassie Island Club golf staff presented a three-hole introductory encounter for beginning golfers. 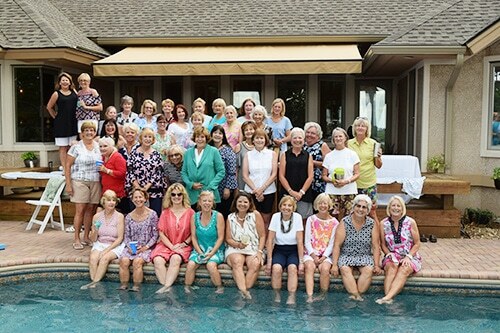 The women to took the course enjoyed it so much that they gathered phone numbers and kept on getting together, connecting to enjoy golf and each other. Soon they were a club, and a club needs a name. History doesn’t ascertain who thought of it, but the fact that all the women agreed on it is more important than that. The Blind Squirrels happily carry on, forgiving every hazard of golf, including those who actually get good at it. The connection people feel from golf on Callawassie Island can be unexpected and gratifying, and the memories can last a lifetime. To help preserve those memories, many of our members have taken up photography. Members enjoy life on Callawassie Island so much that they often find themselves trying to savor every moment or event. To do that, many of our neighbors can be seen snapping away with cameras, commemorating this chapter in our lives. Photography has become such a passion for people here over the years, it was a natural progression to form the Callawassie Island Photography Club. Over the years, this club has evolved into the eyes of the island. One only needs to attend the annual photography exhibit at the Clubhouse to see the love for our island shining through the lens. 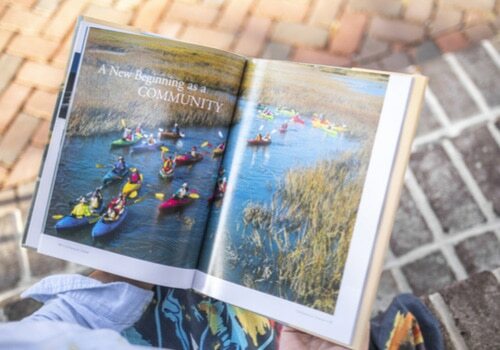 Photography has become such a popular endeavor, that late last year the club was able to put out its very own Callawassie Island coffee table photography book. Each page is rich with beauty and a unique look at life here. Whether they arrived with the experience and passion of an established gardener, or were literally brought to their knees by the beauty of subtropical flora, the plant life that, for many, had existed only in movies before they crossed the causeway, the Island inspired a club that makes gardening a source for enjoyment, learning, teaching, and community service. Once again, a lighthearted style of expertise is exhibited in the titles of the recipe books the Garden Club has published to raise funds for charitable giving. Nothing Could be Finer, was followed by Thyme After Time. The books present recipes that include Lowcountry specialties based on fresh seafood, and family favorites from all over the country, brought by residents who came to Callawassie Island from German roots in Pennsylvania, resourceful farming pioneers in Ohio, or even the abundance of the California coast and central valley. The variety they shared in these books proved popular indeed, and they sold out long ago, with proceeds going to charity. 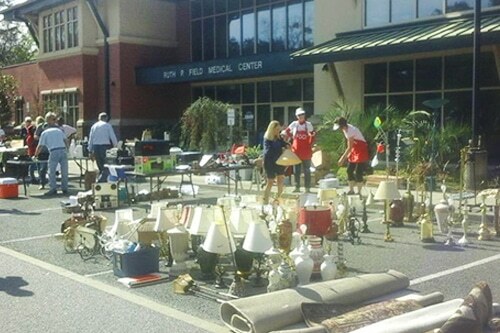 And community service goes beyond fundraising, for the Garden Club. Their bi-annual Silent Auction helped fund the landscaping of our renovated River Club. 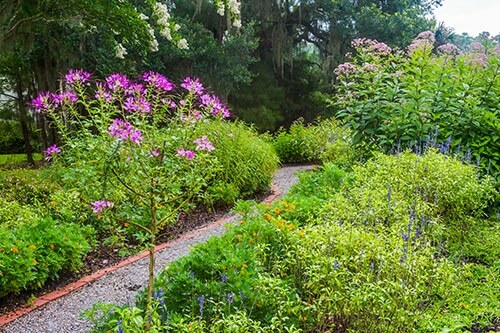 Their support of the Port Royal Sound Foundation’s Maritime Center, for example, extends to enriching the knowledge of how to preserve the particular kind of beauty that connects us to Nature from our homes here on Callawassie Island. Perhaps the most broad-based example of a Callawassie Island club that shares our happiness and satisfaction in productive ways is FOCI, the Friends of Callawassie Island. Just one of their initiatives is an annual theatre production that attracts a surprisingly widespread interest from Callawassie Islanders brave enough to present their singing, dancing or acting abilities, to their neighbors, for a good cause. Thanks to highly professional direction and a keen sense of organization, the productions are very good, continue to involve more and more residents, and most recently raised nearly $14,000 to support projects in our neighboring communities. 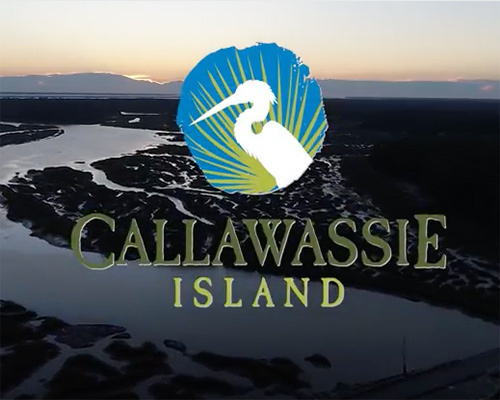 Friends of Callawassie Island gives Islanders an organized, efficient framework to express that, knowing their efforts have impact and take root. Whether it’s casual or organized, independent or official, the connections we find on Callawassie island bear fruit. With pleasure, with growth, with enjoyment and service, our clubs are emblems of the richness we’ve discovered here.